Find the case studies here. Earlier this year, LTQA published a Working Paper and Taxonomy as part of a larger project to develop the business case for LTSS integration. 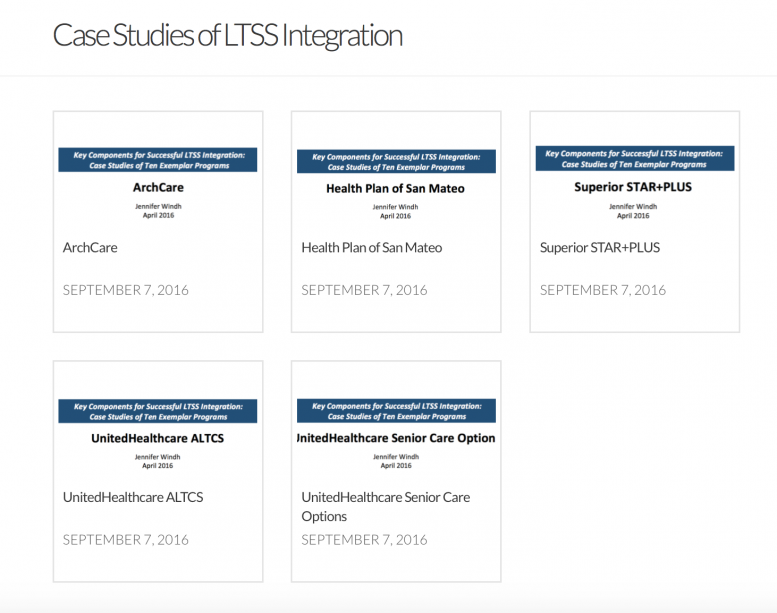 The working paper included case studies on five “exemplar” programs that integrate LTSS and medical care. The case studies describe program approaches to and experiences with managing costs and quality outcomes through integration. We are pleased to announce that the case studies are now available as individual documents for easier reading and sharing. You can find the case studies in the case studies section of our website. LTQA is also currently finalizing five new case studies that will be released later this month. We look forward to sharing them with you soon!